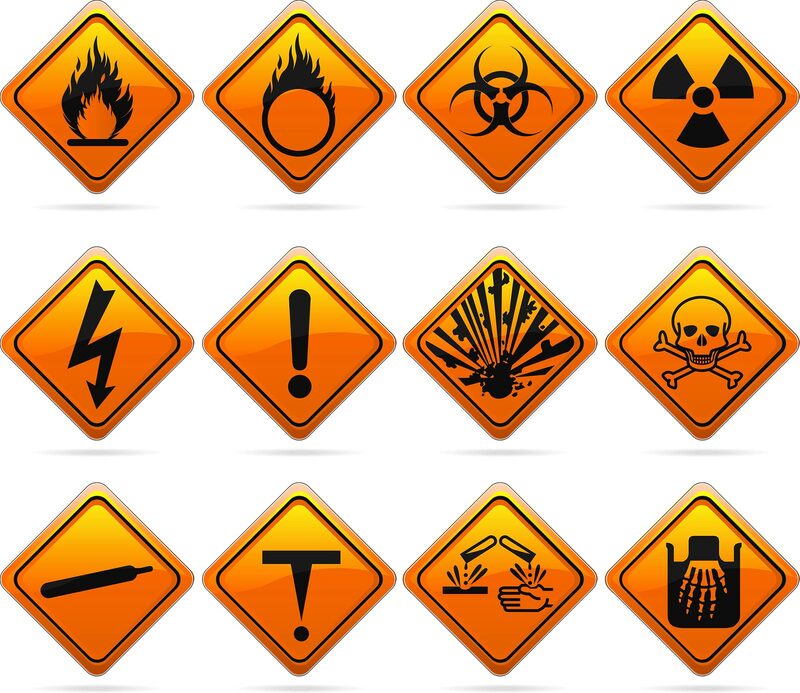 Safety First offers expert COSHH Risk Assessments to uncover and measure any exposure to harmful substances, as well as to propose measures for prevention or control. Each year, thousands of workers fall ill due to hazardous substances that can cause lung disease, cancer, and skin disease. These diseases cost millions of pounds to businesses that would have to replace skilled workers, or worse, deal with civil claims. Exposure to harmful substances can occur in a wide range of work environments, from manufacturing, quarries and waste processing, to hospitals, workshops, and offices. Inhalation of air filled with dust (cement, flour, silica, wood) or fumes (metal, rubber, solder) can lead to lung disease; whilst prolonged contact with wet cement can cause dermatitis and chemical burns. Dermatitis is also caused by metalworking fluids, plants and wetworking (catering, cleaning). Other hazardous substances that can lead to various illnesses include paint, ink, glue, lubricant, detergent, and beauty products. Safety First is a trusted provider in the UK for Occupational Hygiene, Health and Safety services with a combined 15 years of experience. Our highly-qualified analysts and occupational hygienists are well-equipped to carry out COSHH monitoring and risk assessments, including LEV Inspection and Testing. We offer a quick turnaround service – reports can be delivered within just 20 working days.